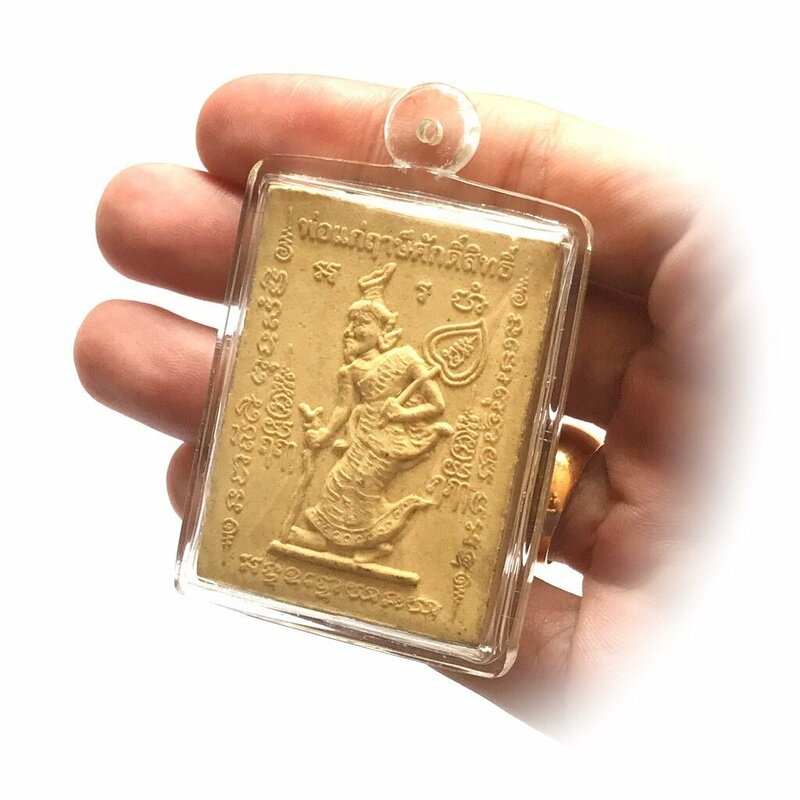 Made around 2520-2529 BE (1977-1986) in Chainat Province, this old Thai amulet is a classic masterpiece containing a unique blend of traditional Hindu and Buddhist magic. On one side of the amulet the elephant-headed god Ganesha (Sanskrit: Gaṇeśa), son of Shiva (Śiva) and Parvati (Pārvatī), is depicted. On the other side, the mythical seer (Thai: ruesi; Sanskrit: ṛṣi) Por Gae Ruesi Tafai can be seen. Equipped with a rod and a fan, the image of Por Gae shows him walking bare-footed in the forest where he performs ascetic practices, including meditation. The two deities are portrayed amid a series of ancient incantations. 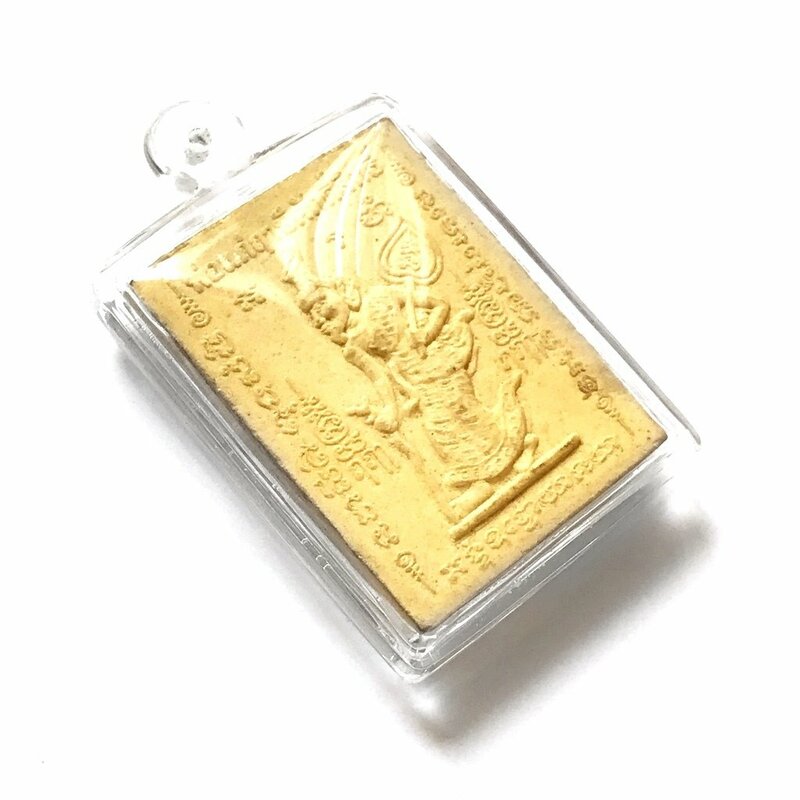 These magical spells, written in the old Khom script from Cambodia, serve to invoke the four elements (earth, wind, water, fire) in order to animate the divine spirit of both Phra Pikaned (Ganesha) and Por Gae Ruesi within the sacred votive tablet. 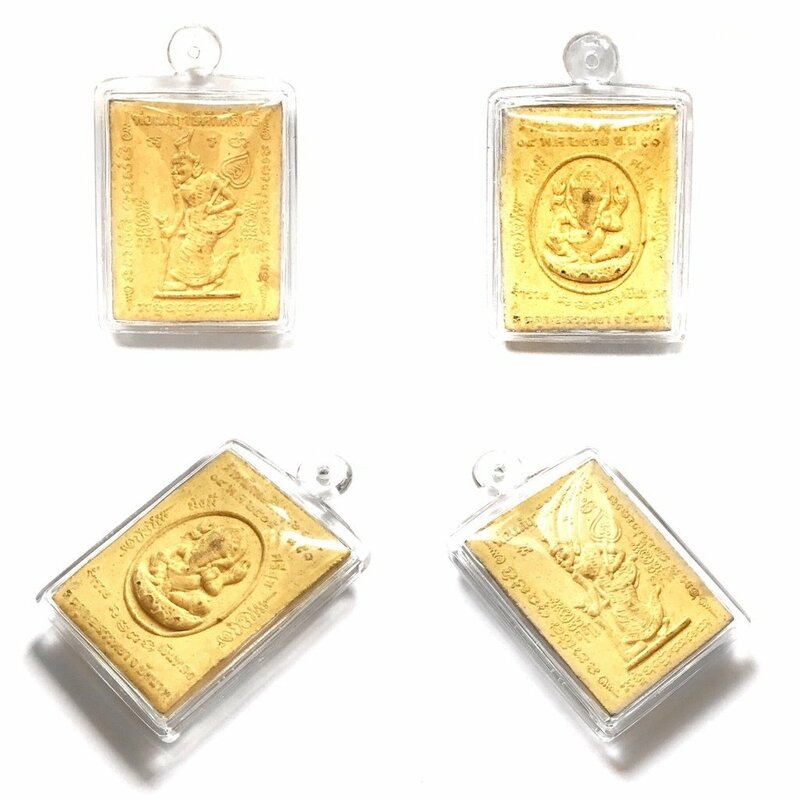 In this way, the wearer will be protected by the power of Ganesha who helps remove obstacles and bad luck. 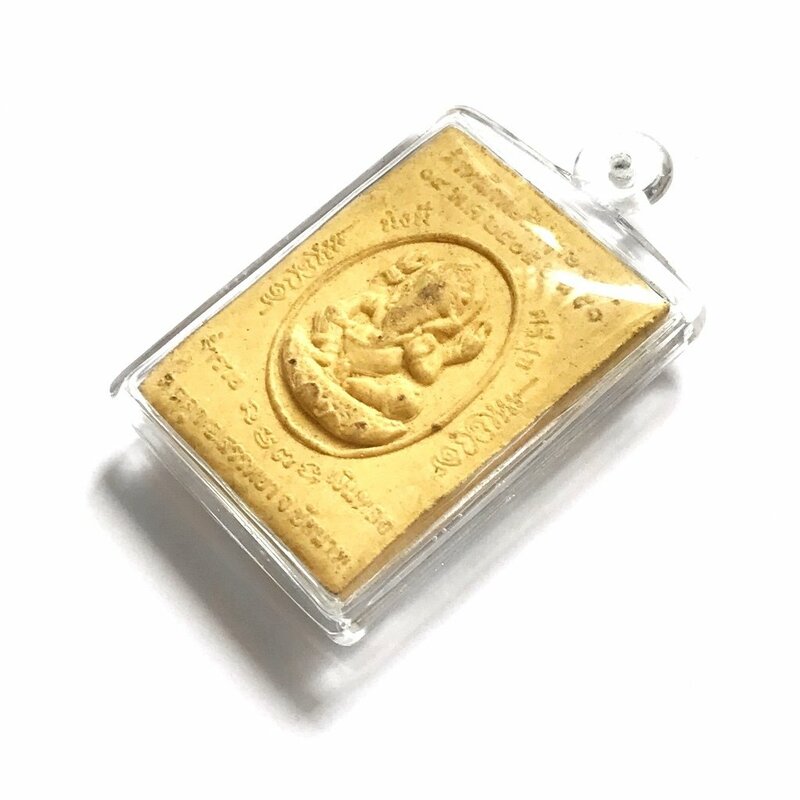 In addition, wearing this talisman is believed to be very helpful in business as sales can increase rapidly through the ruesi's blessings. Also, the amulet comes with a waterproof casing for free.